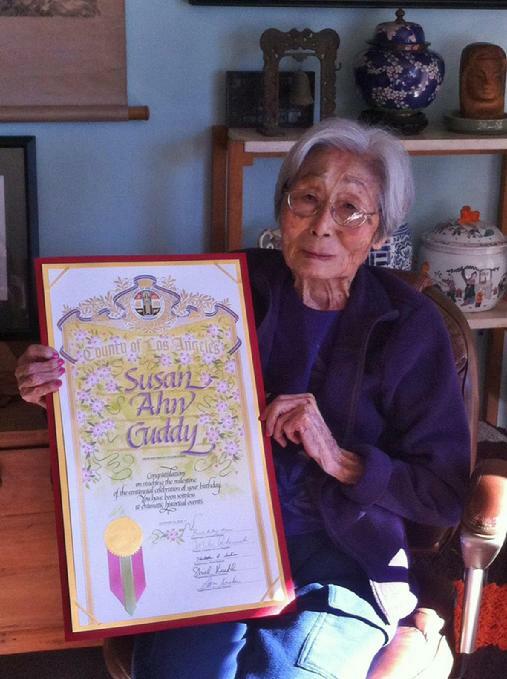 The Los Angeles Dodgers selected Lt. Susan Ahn Cuddy as the "Veteran of the Game" during an August home game in 2013. 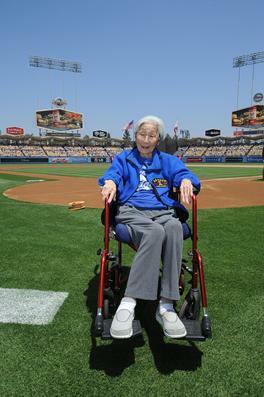 The crowd of Dodger's fans was impressed with her Navy story and that she was in such great state of mind at 98 years old. People came to her in the stands and were so happy to meet her. 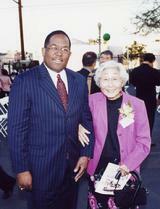 She was born in Los Angeles - a true Angelino baseball fan... and former 2nd baseman and head of Women's Baseball at Los Angeles City College in 1935. 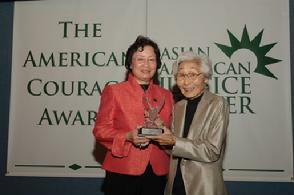 Dr. Leslie Moe Kaiser presents Susan with the 2006 Asian American Justice Center American Courage Award at the National Press Club in Washington, D.C. 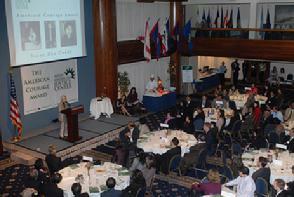 Here is Susan telling her story to the audience at the National Press Club. 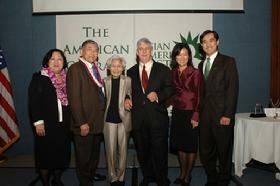 At first, people wondered who this tiny Asian woman was. 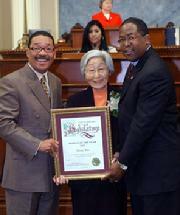 By the end of her speech they recognized an incredible little lady with a BIG story. 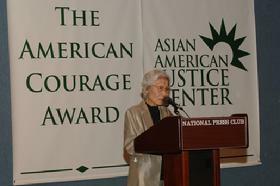 Some of Washington DC's heavies were completley in awe of the Korean Rosa Parks.